Eskdale Mill is the last operating, water-powered corn mill in the Lake District National Park. Each building is full of character and the superb vernacular architecture contains rare survivals of working original features. The earliest record of a mill at Eskdale is 1294. The present building was likely built on the site of an earlier medieval mill but we have not yet found any physical evidence for it. The surviving mill range and the buildings around it date from the 18th and 19th centuries, however, reflecting the prosperous period between 1740 and 1890. In 1737 Edward Hartley bought the mill, and former owner Edward Stanley agreed to provide a good ash tree and sufficient oak-wood to make a new mill wheel and machinery. The core of the present building, at least as old as 1737, was later enclosed by extensions on three sides, at varying levels according to the slope of the river bank. In 1756 Hartley was granted permission by the lord of the manor to take four small oak trees, to build the miller’s cottage and the stable. 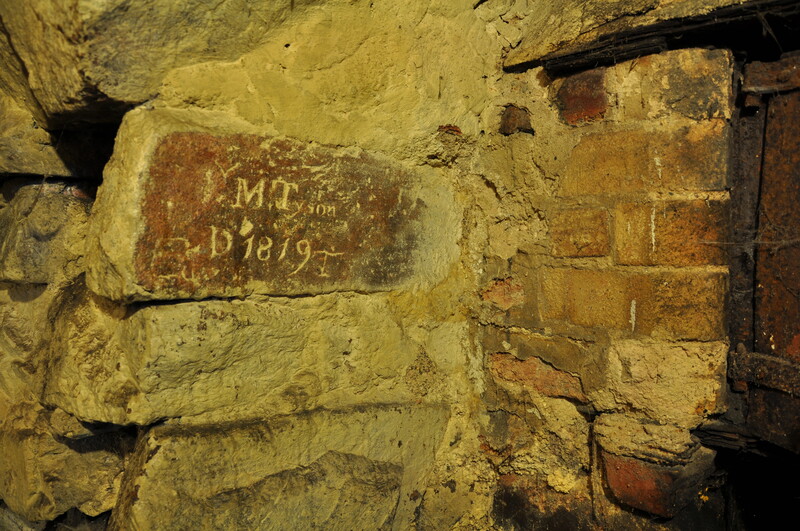 We also know from an inscription near the furnace that by 1819 the drying kiln was built or refurbished. The millstones are powered by two waterwheels and were designed to mill oats, and later wheat. Smaller free-standing stones for grinding barley were powered by belt drives. Both surviving waterwheels are made of cast iron with wooden buckets, dating to between 1830 and 1880. The internal machinery is wooden, and probably much older. The earliest millstones would have been made from English millstone grit brought here from the Pennines. Cologne stones from the Rhineland were probably installed during the middle of the 1700s to grind imported wheat. These are now in the ground outside the lower door to the mill and were replaced by French burr stones. 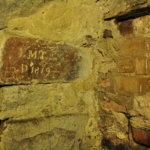 By early 1905 business was bad and the last miller, Ned Bibby, was unable to replace the worn French millstones which are still in the building. The waterwheels fell into disrepair. By the 1930s Eskdale Mill had ground to a halt and stopped working commercially. Ned Bibby’s daughter – Hannah Dawson – installed a small generator for the upper mill wheel to generate electricity, as a mains electricity supply had not yet reached Boot. Hannah then closed the doors leaving everything intact, which undoubtedly helped preserve the mill so that one day it could again be restored to working order. After Hannah died in 1971 the Mill was bought by Cumbria County Council. In 1976 it was conserved and opened to the public. In 1985 the buildings were listed as being of special architectural and historic interest. A new hydroelectricity generation plant was added in 2017 by Eskdale Mill & Heritage Trust, in the form of a third waterwheel drawing power from Whillan Beck. This modern waterwheel is made of steel, and set back from the mill. It was designed to complement and work alongside Eskdale Mill. The waterwheel generates income by supplying electricity to the national grid via the Feed-in Tariff scheme, as well as powering the mill cottage, and is a clear visual demonstration of the continued value of hydropower.